When it comes to L.A. transforming into a top-tier city, we’ve already got a lot of bases covered. Our dining scene is flourishing, we’ve got the 2028 Olympics, and sports teams keep moving here (whether or not we want them to). But another growing sector I’ve noticed in the last year has been the explosion of trendy hotels. Many are located Downtown, many boast rooftop bars, and all of them are places to see and be seen (comment below if you want a round-up of my favorites on this blog!). 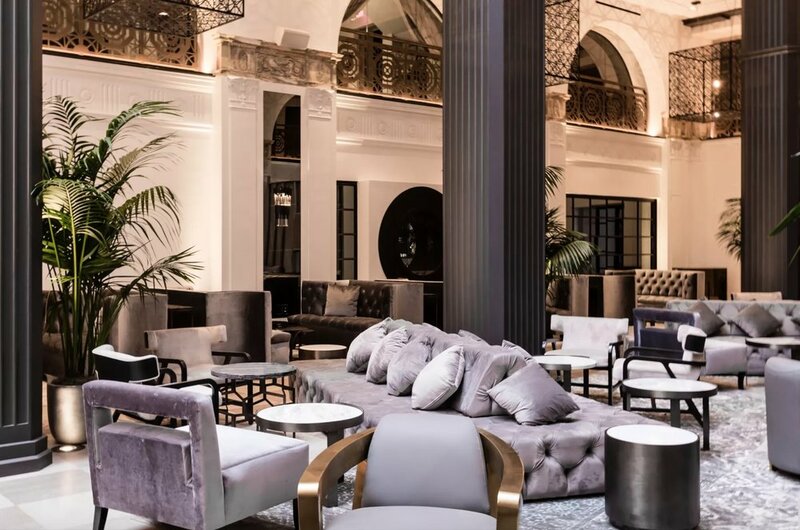 Originally opened in 1926 with a Jazz-Age, Beaux Arts style, the Mayfair Hotel in Downtown LA recently went through a multi-million dollar renovation and re-opened last month. 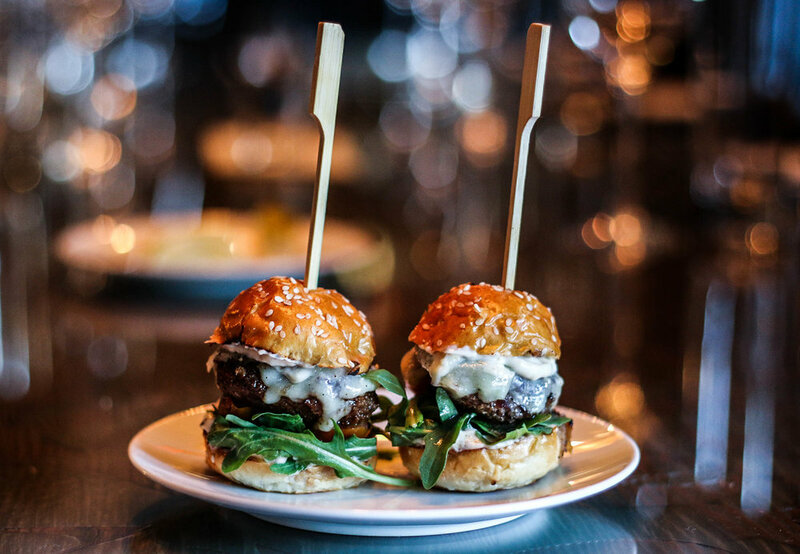 Along with the ballroom, podcast studio, and functioning art gallery comes new Downtown options for drinking and dining in style: the M Bar in the lobby, lobby-adjacent Library Bar, and main restaurant, Eve American Bistro. Each space is beautiful, with a glitzy, old-Hollywood feel and modern details. We popped in a few weeks ago for a drink in the M Bar, followed by dinner at Eve. The drink menu in has a curated list of cocktails, as well as plenty of wine and liquor options. 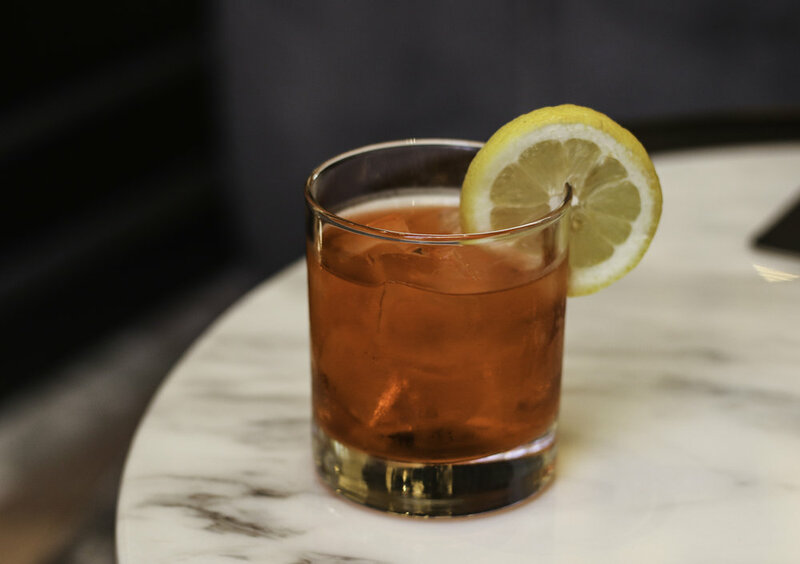 I ordered The Spanish Blood with Bombay Sapphire, Chambord, Campari, grapefruit juice and soda water; it was a refreshing and more summer-appropriate take on my favorite, the Negroni. We then made our way over to Eve, where we sat down for a nice dinner, starting off with a few bites from the kitchen. Full disclosure; I couldn’t find all of these bites on their current menu, but it represents a good sampling of their cuisine and cooking style. We started out with Tuna Tartare cones, with spicy tuna wrapped in a crisp wonton. It was a small little bite, but the creamy tuna was a lovely contrast to the sweet, crispy wonton. We also snacked on some little Baos (which were so fluffy and delicious), as well as a mini portion of Carbonara pasta (complete with a beautifully fried egg on top). A highlight of the evening were these mini burgers, which are slider-sized takes on Eve’s signature lunch burger, “The Eve Burger.” A brioche bun, truffled aioli, pickled tomatoes, aged cheddar, and onions all worked together harmoniously, creating a little bite that was rich, flavorful, and oh-so satisfying. 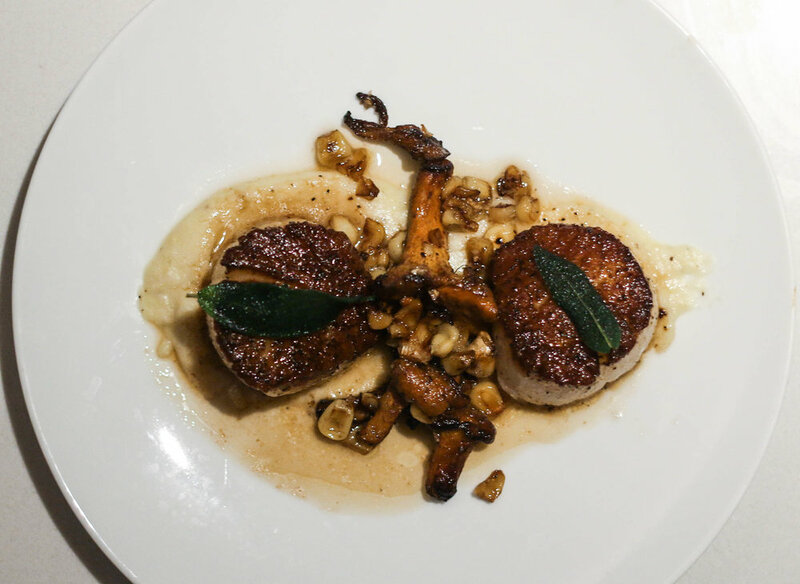 Finally, we finished with the Seared Sea Scallops— perfectly cooked scallops with sweet corn, chanterelle, brown butter, and lemon. The sweet corn and brown butter paired really well with the earthy chanterelles, all offset by a little acidity from the lemon. It was a stellar entree, and the perfect way to finish the meal.